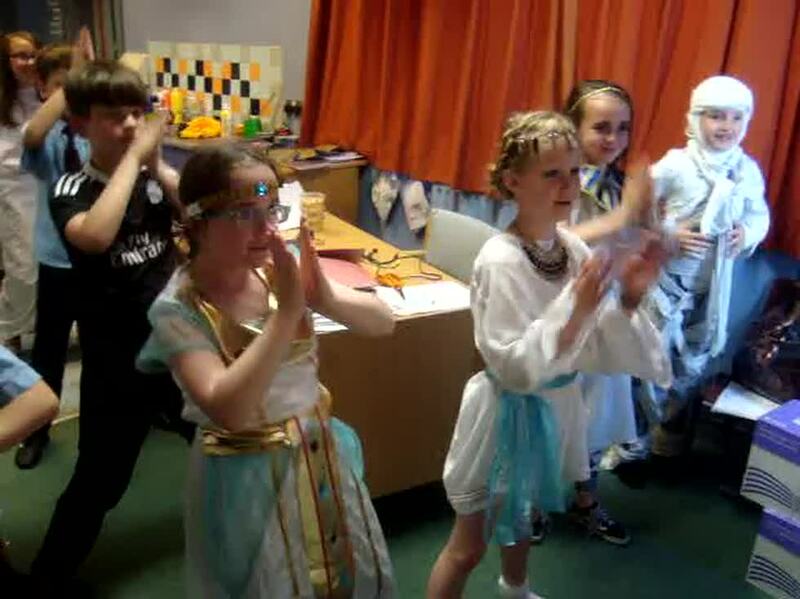 On Tuesday 26th the children of P5 took a trip in their time machine and went back to the days of Ancient Egypt. The children came to school dressed up as an Egyptian character. We had Pharaohs and even the odd Mummy running around the place. 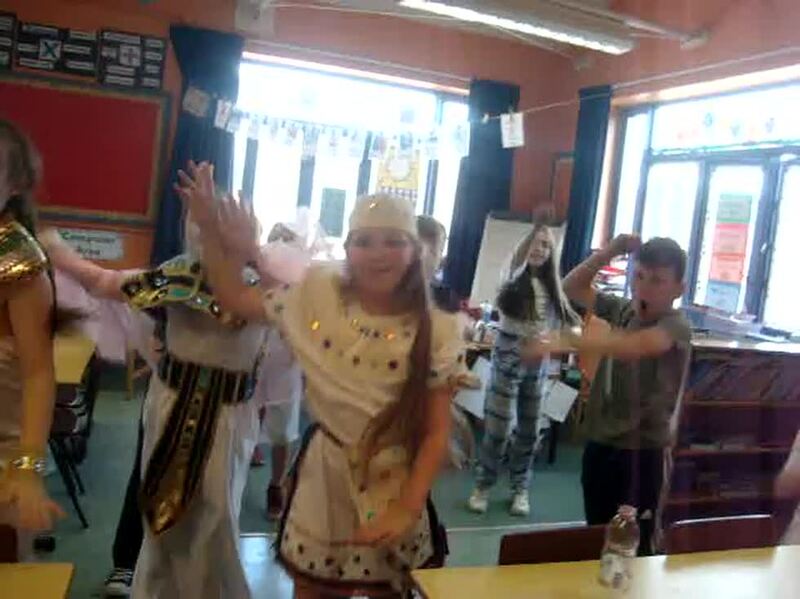 During the day the children made Egyptian Death Masks, tasted a selection of Egyptian foods and danced along to the classic song 'Walk like an Egyptian'.